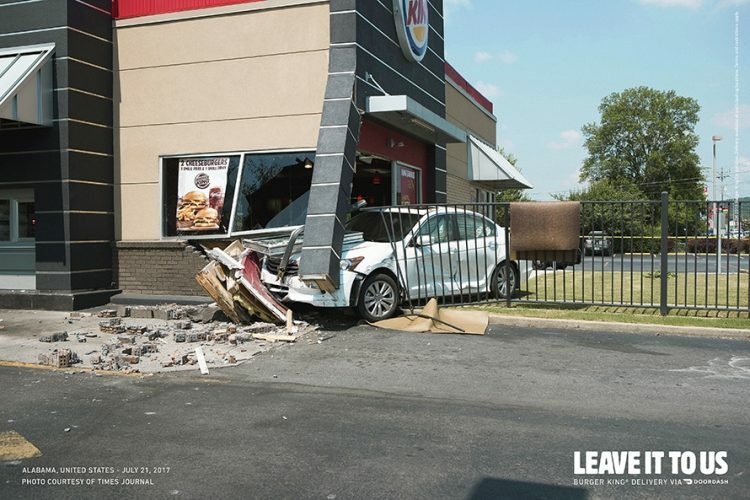 If there’s a brand that’s pushing the barrow in its marketing a the moment it has to be Burger King. 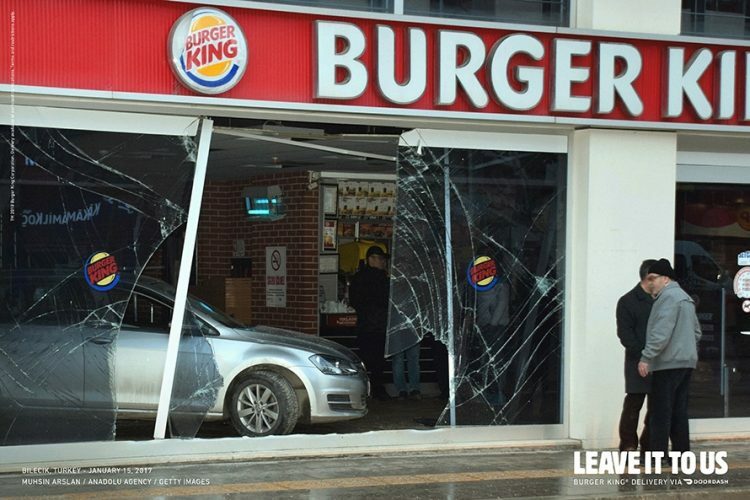 In mid-last year it unveiled a clever (some may say dangerous) print campaign in the US that highlighted its Whopper Burgers were well and truly flame grilled by showing actual restaurants on fire. 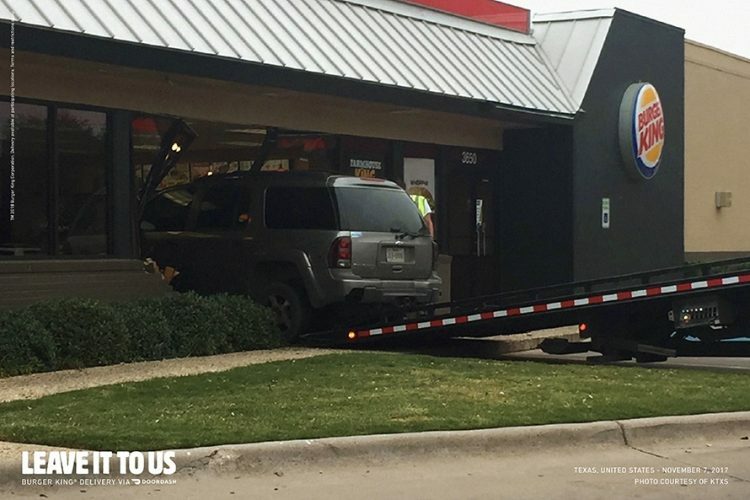 Playing on a similar theme comes the brand’s latest initiative – customers who lost control through the drive-in and smashed their cars into a store in the process. 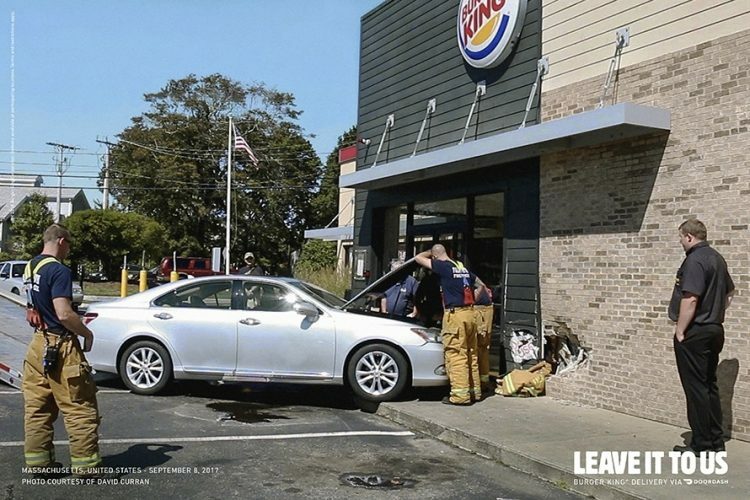 The campaign’s titled “Leave it to us” and is designed to promote Burger King’s delivery service DoorDash rather than customers totalling its restaurants. 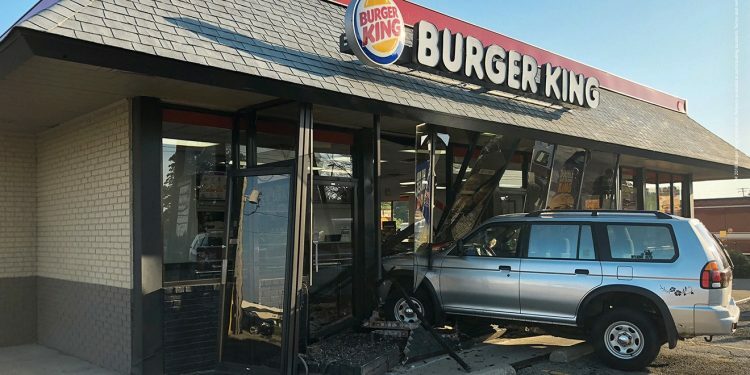 And, rest assured, pride aside, Burger King insists none of its patrons were injured in any of the accidents.